While TRUCKS USA LLC. Strives to provide accurate product and pricing information, pricing or typographical errors may occur. In the event that an item is listed at an incorrect price or with incorrect information due to an error in pricing or product information, Trucks USA LLC shall have the right, at our sole discretion, to refuse or cancel any orders placed for that item. In the event that an item is mispriced, TrucksUSA LLC may, at our discretioin, either contact you for instructions or cancel your order and notify you of such cancellation. We strive to provide you with the lowest prices possible in our store, catalog and website. However, the prices in the store, catalog, or website are subject to change/correction. Prices and availability are subject to change without notice. OUR CATALOG AND WEBSITE ARE PROVIDED BY TRUCKSUSA LLC ON AN “AS IS” AND “AS AVAILABLE” BASIS. Any errors in application, description, prices, part numbers, photography or typographical mistakes are subject to correction. TrucksUSA LLC neither assumes nor authorizes any other person to assume for it any liability for errors on the website/catalog or with the sale of the part. 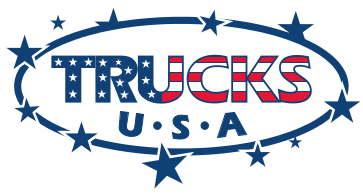 Trucks USA LLC reserves the right to limit quantities on all sales and the right of refusal to sell any item to a customer. In order for us to fulfill your order as quickly and efficiently as possible, parts of your order may be shipped at different times, and/or from different vendors. If this is the case, your order may arrive in separate boxes and at different times. Due to the weight and quantity of orders, we do not add shipping initially to an order. Once the order is processed, you will receive an email with the corrected/new total including Shipping. This is the total that will be charged to your credit card. If in doubt, call in the order and we should be able to estimate the cost for shipping.